The official mobile app for The Body Shop Malaysia is here! Download it now and say hello to an all new enriched shopping experience! Join us as a Friend or a Fan and get access to exclusive in-app promotions, keep up to date with new releases and store events, check your membership points, and much more! 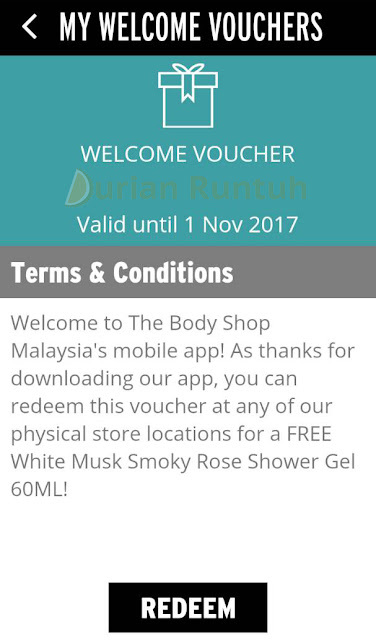 As a little welcome, you'll get a Freebie gift: FREE White Mush Smoky Rose Shower Gel 60ML (no purchase necessary) when you install the app and show it to us in stores! Download it from the Google Play or Apple Store now!